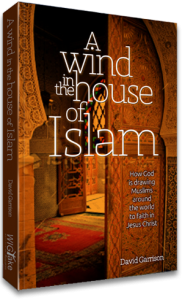 David Garrison, A Wind in the House of Islam: How God is drawing Muslims around the World to faith in Jesus Christ (Monument, CO: WigTake Resources, 2014), 307 pages. As the sub-title of Garrison’s book suggests, this book provides both an historical narrative and analysis of how the wind of the Holy Spirit is drawing Muslims from the nine rooms of the Dar al-Islam (House of Islam). The rooms refer to the nine different geographical sectors of the globe from West Africa to the Indonesian islands where Islam is dominant. 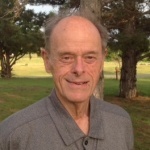 Garrison’s work is the result of his work as a missionary pioneer with the Southern Baptist International mission Board for thirty years. Over the years he traveled a quarter-million miles in the nine different areas of the Muslim world. Well-versed in twelve different languages, he was able to interview and converse with Christians having a Muslim-background before their conversion. A Wind in the House of Islam became part of his responsibility as global strategist for evangelical advance on behalf of the Southern Baptist International Mission Board. The book, however, is of a much broader scope than that of Southern Baptist interests. He discusses the contributions of the Assemblies of God, the Brethren, Lutherans, and other Christian bodies as the Reformed Churches of the Netherlands within each of the nine geo-cultural rooms of the House of Islam. Garrison distinguishes “2,157 distinct Muslim cultures and people groups” which are found in nine different “affinity clusters cohering around shared experiences of geography, language, and history (p.31).” Apart from the introductory and closing chapters, Garrison devotes a chapter to each of these affinity clusters. He identifies them as Indo-Malaysian, Eastern South Asian, Western South Asian, Persian/Iranian, Western South Asian, Turkestan, North African, Western African, Eastern African, and ends with the Arab “room.” He begins his narrative with the Indo-Malaysian “room” of the House of Islam and closes with the “Arab” which includes the Arabian Peninsula along with Egypt and the western coast of the Red Sea. The author identifies eighty-two Muslim movements to Christ throughout history with two occurring in the nineteenth, eleven in the twentieth, and sixty-nine in the twenty-first centuries. Garrison distinguishes the Arab Christians from those who, under the mantle of Islam, swept across the Near East and northern Africa and toward the Pacific in the late seventh and eighth centuries. The time frame of Garrison’s work is, therefore, concentrated within that time frame and the consequent centuries leading into the 21st century. Garrison writes of six different Muslim cultural groups: the Alawite, the Sunni, Shi’a, Sufi, Ibodite, and Ismaili. The major ones are the Sunni, Shi’a and Sufi, the last-named being a “mystical”—for lack of a better word—form of Islam. The ones making the most news are the Sunni, Shi’a, and Alawite, the last named being the smaller of the three and confined mostly to Syria. Assad, the “president” of Syria is Alawite.